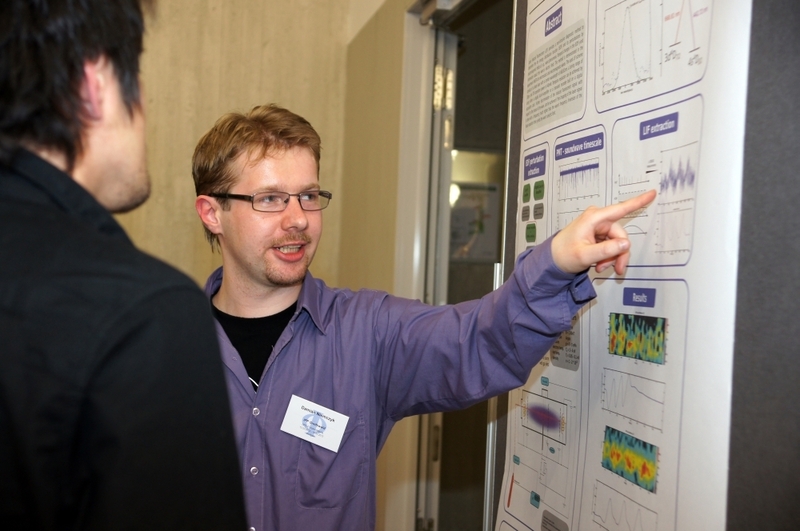 The poster sessions will take place in the foyer and room SR22 of Dorotheenstr. 24, in the foyer of Spandauer Str. 1, in the Magnus-Haus, as well as the Spreepalais (Anna-Louisa-Karsch-Str. 2). The exact times and locations are listed in the programme. The poster boards will be marked with the number according to the scientific programme. 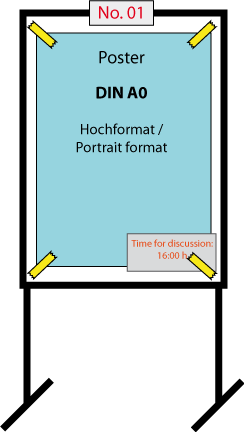 Authors are asked to mount their poster before their session. Each poster should display the number according to the scientific programme. Each poster should be no larger than 90 cm x 120 cm (DIN A0, portrait). For the mounting of the poster please use the provided “power strips” at the poster frame or contact the available student staff. The presenting authors should be at hand for discussion at their poster during at least half of the poster session and should note this time at the poster. The posters have to be removed after the session. Any posters remaining on poster boards will be removed and disposed without requesting your permission. The conference management accepts no liability for the posters.